New-home sales jumped 12.4 percent last month to a seasonally adjusted rate of 654,000 annual units, the strongest level since October 2007, the Commerce Department said Tuesday. The demand has eclipsed the pace of construction. Just 4.3 months' supply of new homes is available on the market, down from 5.2 months a year ago. Construction of single-family houses has picked up this year as the market has extended its recovery from the drop-off caused by the housing meltdown that began nearly a decade ago. 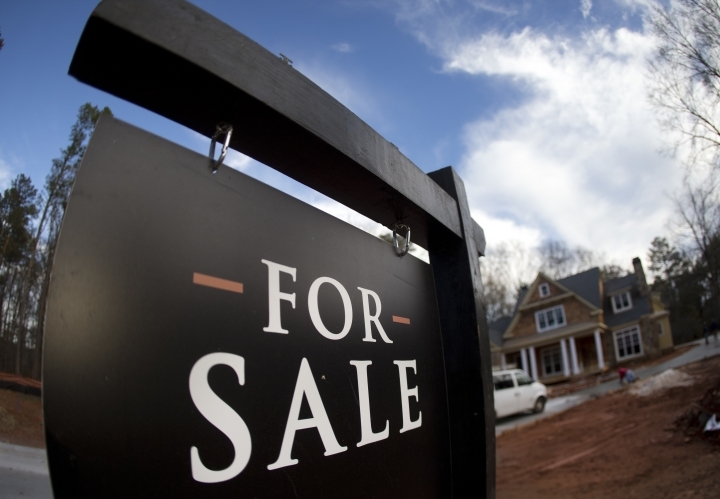 Sales in July roughly matched the long-standing pace of 650,000 new homes selling each year. As the job market has strengthened and mortgage rates have settled near all-time lows, more buyers have been drawn to new developments and properties. "We see tremendous growth potential in new-home sales as housing demand continues to grow and the continued supply shortage of newer vintage homes," said Tian Liu, chief economist at Genworth Mortgage Insurance. The improved sales of both new and existing homes has supported the broader U.S. economy, which is still hampered by a global slowdown and weak worker productivity. Existing-home sales reached a seasonally adjusted annual rate of 5.57 million in June, the best performance since early 2007. Construction companies have added 215,000 jobs over the past 12 months. Over the same period, sales have risen 3.5 percent at building materials stores and 4.3 percent at furnishing stores, according to the government. Purchases shot up 40 percent in the Northeast and 18.1 percent in the South last month. They increased slightly in the Midwest and stayed unchanged in the West. July's median sales price dipped 0.5 percent from a year ago to $294,600, a possible reflection of the regional sales mix. So far this year, new-home sales have climbed 12.4 percent to 352,000. Builders are increasing construction but are still running behind demand. Ground breakings for houses have climbed 10.6 percent year-to-date, the government reported last week. This marks a sharp reversal from prior years in the recovery from the Great Recession, when a large share of the increase in residential construction came from apartments. Optimism abounds for many builders as well. The National Association of Home Builders/Wells Fargo builder sentiment index for August rose two points to 60 following a downwardly revised reading of 58 in July.